Luxury Real Estate Marketing: Is it Time to Re-invent Yourself? Brand distinctiveness, the way you stand out from your competition is equally important in personal branding as it is in company or product branding. When you cannot clearly, sharply and quickly articulate how you are different, how can you expect your referral sources to do so when they are asked to recommend a luxury real estate marketing professional? Sometimes you have to completely reinvent yourself or your company to surpass your closest competitors. 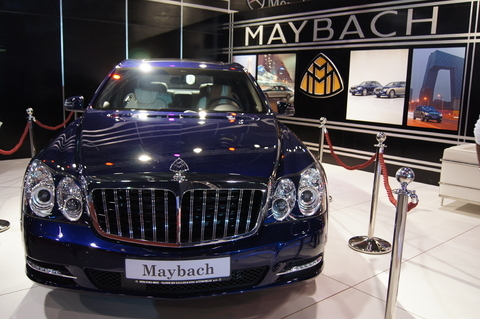 That is definitely the case of the Maybach as this brand faces the biggest challenge of its 90 plus year life. If you are in the market for a super-luxury car, and you think of the hood ornament of a Rolls Royce, (known as the “Spirit of Ecstasy”) it is hard not to get ecstatic. For some this symbol conveys the entire experience of owning the car. 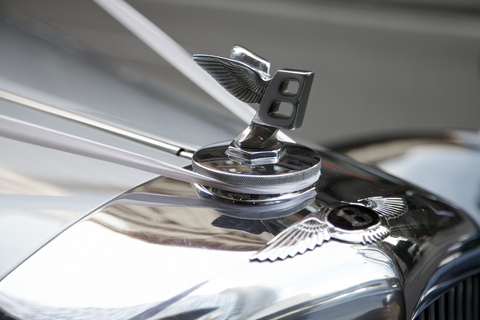 Others get a rush when they think of Bentley’s hood ornament or badge. But, what associations are made about the Maybach, manufactured by Daimler (Mercedes Benz). It was very popular in Germany in the 1920 and 1930s, but not very well known in the rest of the world. It is now manufactured at the same facility as the Mercedes S Class, not in its original town. What does Maybach stand for today in the minds of the ultra-rich that can afford a starting price tag of $375,000 or pay $1.3M for the top of the line? How is this brand distinct from its competitors in the super-luxury car category? Many feel that the car is too similar to the Mercedes S Class model, even though it sports many features and amenities that are not included in the lesser priced car. This lack of distinctiveness has resulted in mediocre sales and has caused Daimler to completely rethink its brand strategy. In fact, the fate of the car, its very existence, will be determined by the end of the year. But, what a fabulous opportunity to reinvent a brand and emerge as the market leader! You have heard of the fable of the Phoenix, the firebird that re-emerges from the ashes, right? If Daimler would take a hard look at the current vulnerabilities of the Rolls and the Bentley, and zero in on providing extraordinary value, a classic brand could be reborn that could trounce the other two. Being at the doorway of extinction can spark remarkable inventiveness. It will be interesting to see if the Maybach makes it through the threshold. Is it time for you to re-invent your brand?